Parts of Iran’s capital city, home to 13 million people, are subsiding by 25 centimetres each year. Tehran, western Asia's largest city by population, is sinking. Now, detailed satellite images reveal the extent of the problem, including that some parts of the Iranian capital are falling by as much as 25 centimetres a year, and that the collapse is spreading to encompass the city’s international airport1. Geoscientists Mahdi Motagh and Mahmud Haghshenas Haghighi, both at the GFZ German Research Centre for Geosciences in Potsdam, used satellite data to monitor subsidence across the Tehran region between 2003 and 2017. Previous work2 had shown that Tehran is sinking and had linked the sinkage to the depletion of groundwater aquifers, which are being sucked dry to irrigate nearby farmland and serve greater Tehran’s 13 million or so residents3. The latest data put new figures on the problem. 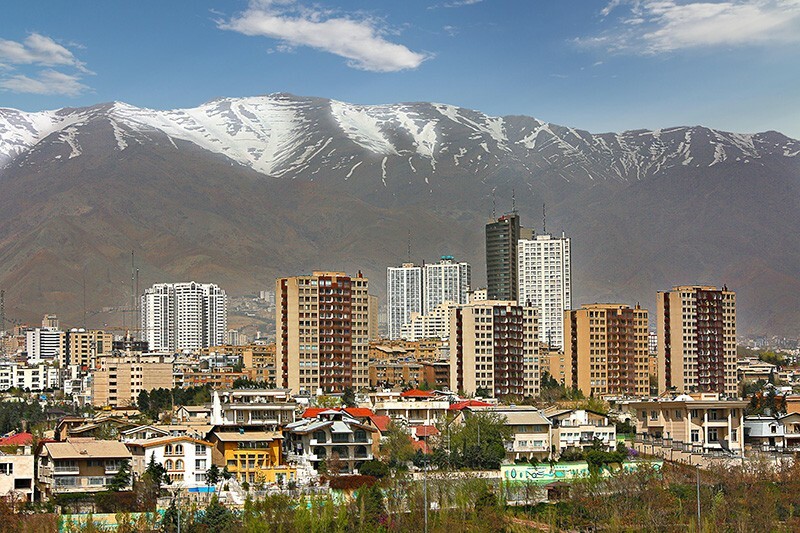 The western Tehran Plain — a mix of Tehran’s urban sprawl, satellite cities and agricultural land — is subsiding at a rate of 25 centimetres per year, and the Varamin Plain, an agricultural region to the southeast of the city, is subsiding at a similar rate. The city’s international airport — located southwest of Tehran — is sinking 5 centimetres annually. “These are amongst some of the highest current rates of subsidence in the world,” says Roberto Tomás, an engineer at the University of Alicante in Spain. Subsidence, caused by growing populations and increased extraction of underground water, oil and gas, is a problem in cities globally. For example, previous satellite measurements have shown that some areas of Jakarta are sinking at more than 20 centimetres per year4, and the San Joaquin Valley in California — home to several cities — by up to 60 centimetres per year. The new study, which has been accepted for publication in Remote Sensing of Environment, estimates that around 10% of the urban area of Tehran is affected, along with many satellite towns and villages to the city’s southwest. “When walking around these areas, we see uneven street surfaces, shifted curbs, cracks in the walls and even tilted buildings, some of which have had to be demolished,” says Motagh. Huge fissures — several kilometres in length and up to four metres wide and deep — have opened up in the land to the southeast of Tehran, some of which are threatening to topple power-transmission lines and buckle railways. And the growth of underground cracks sometimes produces sudden sinkholes. 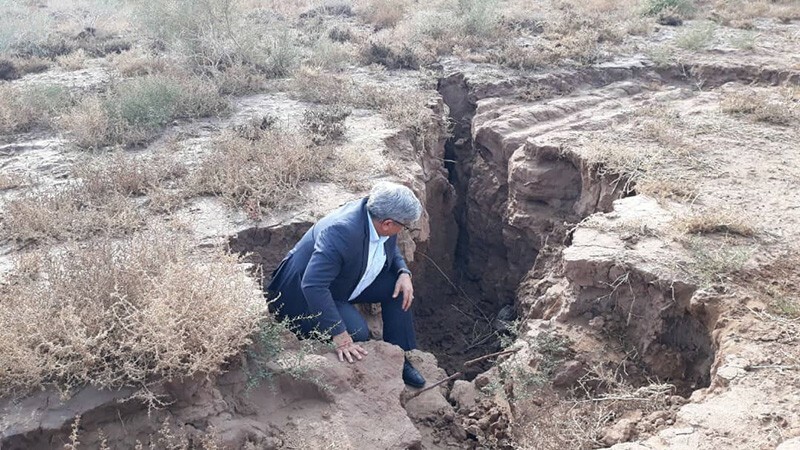 “One farmer I met was locked up for hours when the ground gave way beneath him and he fell into a six-metre-deep crack,” says Ali Beitollahi, head of engineering seismology at the Building and Housing Research Center in Tehran. Such farmland is becoming unviable, because the cracks drain irrigation water from the surface and leave crops parched. Surveys carried out over the past year by Beitollahi and his colleagues estimate that the areas with significant subsidence in and around Tehran host 120 kilometres of railway, 2,300 kilometres of road, 21 bridges, 30 kilometres of oil pipeline, 200 kilometres of gas pipeline, 70 kilometres of high-voltage electricity lines and more than 250,000 buildings. Motagh and Haghshenas Haghighi’s data show how the subsidence has marched steadily eastwards since 2003, starting with agricultural land and encroaching on the urban fringes of the city. Another subsidence zone is creeping towards Tehran’s airport. A combination of population growth — the city’s population has doubled in the past 40 years — droughts and large dams, which capture rainwater and prevent aquifers from recharging, has exacerbated the problem. The authorities are fighting a losing battle as they try to regulate water extraction. Beitollahi believes that some 100,000 illegal wells have been blocked across Iran, but an estimated 30,000 are still in operation across Greater Tehran. The sinking that has already happened might be irreversible, the study hints. By looking at water depth measurements from wells in the affected areas, the researchers found that the ground is failing to bounce back, even after rainfall, which suggests that the porosity of the rock has been permanently lost. That loss could lead to more flash flooding, says Linlin Ge, an engineer at the University of New South Wales in Sydney, Australia, because without pores, the water no longer has anywhere to go. Haghshenas Haghighi, M. & Motagh, M. Remote Sens. Environ. (in the press). Pirouzi, A. & Eslami, A. Int. J. Geo-Eng. 8, 30 (2017). Motagh, M. et al. Geophys. Res. 35, L16403 (2008). Abidin, H. Z. et al. Nat. Hazards 59, 1753 (2011).